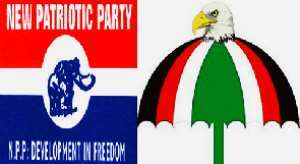 Before and after independence till date governance has been in the hence of NDC and NPP but the ordinary voter has never enjoyed even a tip bit of their campaign promise made to them, a Group calling itself “Takra” bemoaned. According to them, the ruling government has done a bit of this by implementing policies such as Cocoa Mass Spraying, Health Insurance, Free School Feeding, Free SHS, etc., but since the NPP has not gotten any substitute or alternative winning an election to rule the country has become somehow easy for them. In a statement signed by the Executives of the group and copied to thepressradio.com they stated that “It has been a long time campaigning in the country with different campaign messages and promises so the minor political parties to map up a strategy to blow off the two main political parties who have been emerging victorious after every election but continue to deceive the ordinary voter with their fake promises”. ''The NDC also came out with progressively Free SHS but Ghanaians never bought their idea. With the NDC, Ghana witnessed a number of development projects under the immediate past government which was headed by H.E Former, President John Mahama, including roads, hospitals, school buildings, etc,'' the group acknowledged. They further argued that it was high time smaller parties got serious with their vision and desire to govern.